LOW MILES ONLY 45,450 MILES!! NOVEMBER 16TH 2019 MOT (no advisories issued) + SERVICE HISTORY + 12 MONTHS AA BREAKDOWN COVER + 3 MONTHS NATIONWIDE MECHANICAL BREAKDOWN WARRANTY EXPERIAN HPI CHECKED + FULLY DETAILED INSIDE AND OUT. Reyland's of Seavington are pleased to offer you this fabulous DS3 finished in stunning gloss black with white roof and mirrors. We have just taken this car in part exchange against a Mercedes C Class the car has being in to the workshop and has had Interim Service + Rear Brake Pads + New Wiper Blades + Front Disks plus Pads + x2 New Tyres so is ready to drive away today!! 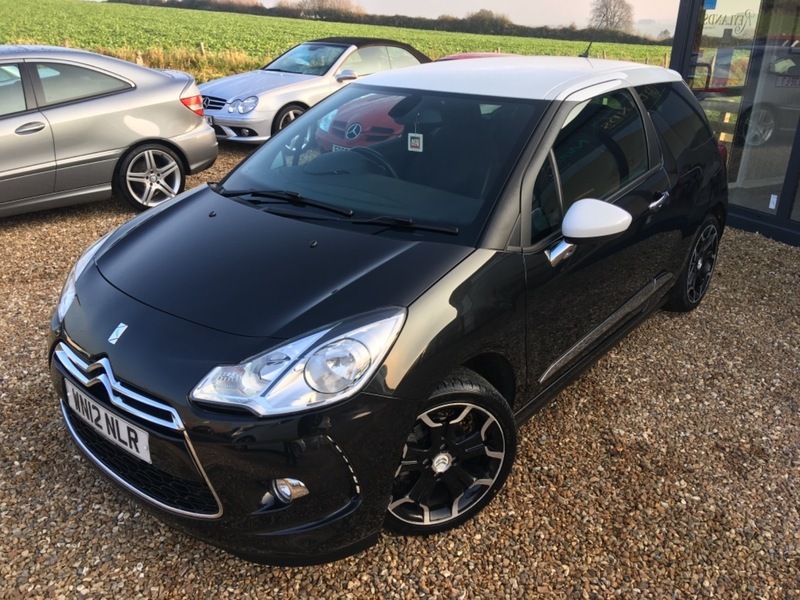 This DS3 has a great specfiaction including 17" alloy wheels, Day Running LED lights, front fog lights, rear parking sensors, electric windows, electric folding mirrors, cruise control with limiter, auto lights, auto wipers, Air conditioning / digital climate control, radio/cd/aux, 3x3 rear belts + ISOFIX, gloss black trim and black roof lining.